A major meeting was held in Abuja on Monday in furtherance of the bid to stop the reelection bid of President Muhammadu Buhari. The meeting was held on Monday afternoon at Transcorp Hilton, Abuja. 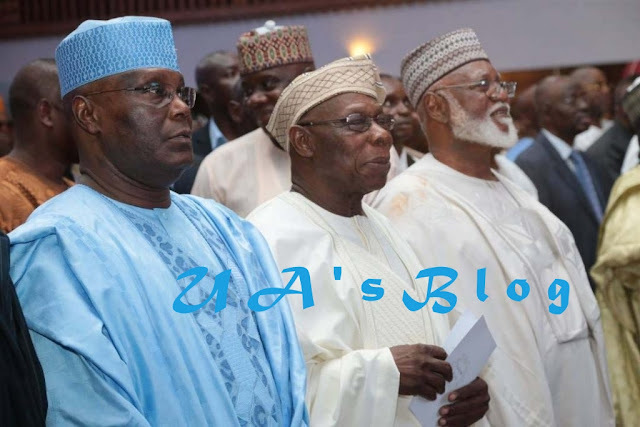 Among those at the meeting were former President Olusegun Obasanjo; former Head of State, Abdulsalami Abubakar; former Minister of Defence, General Aliyu Gusau; former Vice President and presidential candidate of the Peoples Democratic Party for next year’s election, Atiku Abubakar; and National Chairman of the PDP, Uche Secondus. The focus of the meeting was said to be next year’s presidential election. The move to unseat Buhari, who is seeking reelection on the platform of the All Progressives Congress, was said to be the major focus of the meeting.